This reader shopping trip is from last week but it's great savings so I wanted to post it! Check your store for Tic Tac 3 pack clearance, these were $0.98 each after $0.75/1 from 9/28 SS. After coupons we paid $168.76 and saved $131.47!! 2nd transaction was $78.02 - we paid $27.49 and saved $50.53! 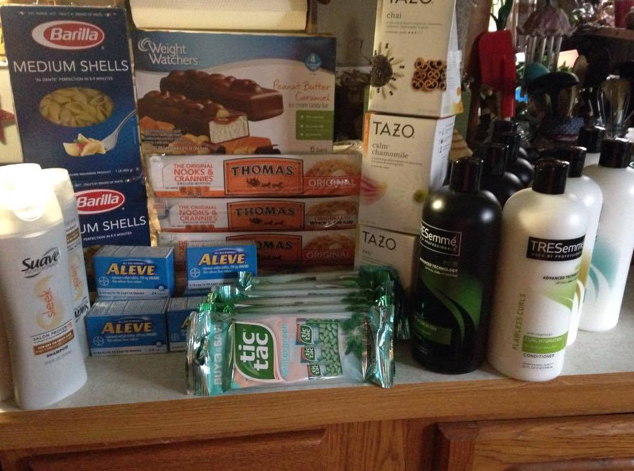 Got 4 pkgs English muffins free, free box ice cream, 3 boxes tazo chai tea free @ $5.99 each. 6 Aleves for $.99 had 6 $3.00 off coupons, 6 pkgs tic tacs for $.98 had 6 $1.50 off coupons, Suaves were $.49 each and the tresemmes would of been $32.00 But we paid $1.92 for 8 of them. 2 free boxes pasta." How did you do the tazo chai tea deal?